Sir Richard's lovingly crafted canvas from which the performers extract full measure. First and foremost - beautiful, touching music. There is a plaintive quality throughout, a wistful murmur that throbs right below (or is it above?) the surface. Available in stores and at iTunes, CDBaby, Amazon.com and other sites worldwide. 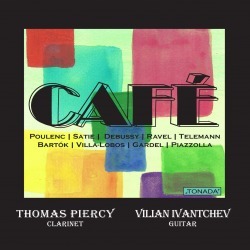 Clarinet and Guitar duo Piercy & Ivantchev - beautifully recorded in NYC - perform this exciting and eclectic group of pieces arranged for clarinet and guitar: Piazzolla's Histoire du Tango, Bartok dances, Villa-Lobos & Gardel songs, and a collection of French and German compositions - Debussy, Poulenc, Ravel, Satie and Telemann. "This recording is a calming, pleasant and eclectic collection. 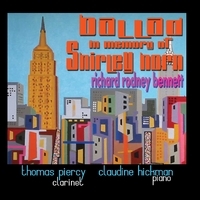 Piercy's versatility is evident in this diverse collection of music. The progression if music on this disc has a natural ease, particularly the opening French works, which effortlessly flow from one to the next. Piercy's flexible sound contains a variety of colors, achieving an even tone from one register to the next. The tango movements are spectacular and are the highlights of this recording! The CAFE recording presents a diverse combination of music that shows both how versatile these artists are, and how effective the combination of clarinet and guitar can be." 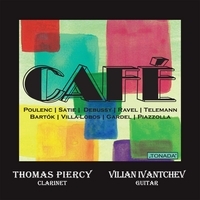 "Clarinetist Thomas Piercy and acoustic guitarist Vilian Ivantchev link fourteen pieces together as a suite, beginning with the French late Romantics, taking a detour into the German baroque before following the gypsy path to Brazil and from there to Argentina, where the trail ends on a note that threatens to jump out of its shoes with joy. It’s a very subtly fun ride." Mouvements Perpétuel No. 1 (Assez modéré). Composed for piano in 1918 as part of Trois Mouvements Perpétuels, Op. 14. Gnossienne No. 1. Composed for piano in 1890 as part of Trois Gnossiennes. Gymnopédie No. 1. Composed for piano in 1888 as part of Trois Gymnopédies. La fille aux cheveux de lin (The Girl with the Flaxen Hair). Composed for piano between 1909 and 1913; included in the two books of Préludes. Pièce en forme de Habañera. Originally composed as “Vocalise étude en forme de Habañera" for bass voice and piano in 1907. A song without words, Ravel later arranged the work for cello and piano. Sonata in A Minor. Composed for oboe and continuo. Roumanian Folk Dances. Composed for piano in 1915; later arranged for orchestra by Bartók. Based on folksongs and dances collected by Bartók from peasants and Gypsies. Modinha. Composed in 1925 for voice and piano as part of Seréstas. Evocação. Composed in 1933 for voice and piano as part of Modinhas e Canções. Bachianas Brasileiras No. 5. Aria (Cantilena). Composed between 1938 and 1945 for soprano and eight cellos. Later arranged for soprano and guitar by Villa-Lobos. Mi Manta Pampa. Composed in 1923 for voice and piano. Sus ojos se cerraron. Composed in 1935 for voice and piano. Histoire du Tango. Composed in 1986 for flute and guitar. Jacinto Chiclana. Composed in 1963 for voice and piano. The sheet music arrangements to many of these compositions are available through Tonada Productions. 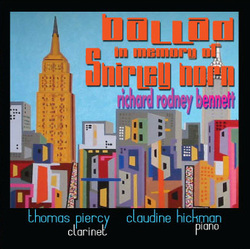 Chamber music of Ned Rorem featuring the clarinet. 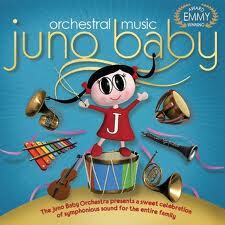 "Extraordinary performances by top players bring distinction to this recording. Piercy shows remarkable virtuosity in some deep emotional terrain." especially with the Gotham Ensemble playing, is both thought-provoking and emotive." "Mr. Piercy is masterly on his clarinet." Emmy Award-winning CDs and DVDs. Soundtrack to the movie "Strange Girls." Music composed by Reed Robins. Available at iTunes, CDBaby, Amazon.com and other sites worldwide. "It is not often that a composer's music stands out against the vast array of contemporary music recordings available today. His recording, no suggestion of silence, is truly refreshing." "Kaleidostrophe is the major work on the disc; the musical line takes on more and more beauty when heard a few times." Recorded live at the Chicago Cultural Arts Center and New York City's Kosciuszko Hall.